There's no question that I love to bake, especially cookies, pie, cakes and cupcakes. Not the healthiest of eats, but it's fun and gives me something to do to "blow off steam" when a run isn't in the cards. 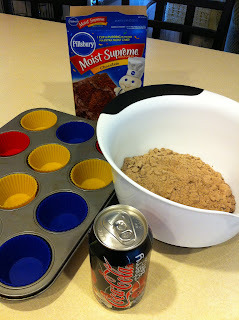 So a couple years ago one of my sisters made my family Diet Soda Cupcakes for my Dad's birthday. Say what?! You read that right! Diet Soda Cupcakes! And you know what? They were actually not too shabby. You can be creative with what flavors you choose, too. Fresca and vanilla cake. Diet Cherry Coke and chocolate cake. Root beer and vanilla cake. 7-Up and lemon cake. The possibilities are endless. "They" (not sure who that entails) say that the pudding cake mix doesn't work sometimes, but I haven't had that problem yet. All you have to do is follow the oven temperature directions, add the diet soda to the dry ingredients (no eggs, oil or water needed! ), mix and bake. Simple as...cupcakes. AND, you can lick the batter off the spoon! No raw eggs! And TA DA! 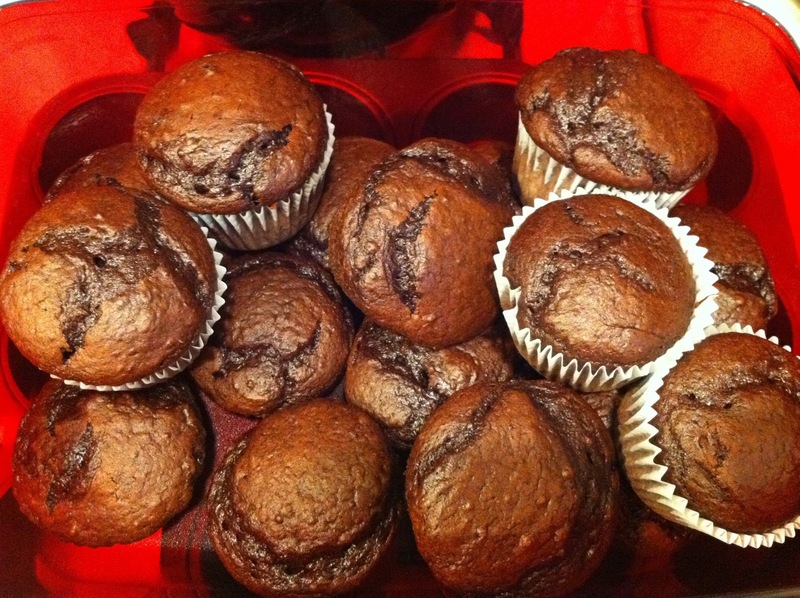 Yummy, healthy(er) cupcakes! DUDE! I'm so making these! Crazy! I've never heard of these. so weird. I just made those for the first time last week. Great minds! Wonder if it works with Gluten Free cake mix? OMG, I totally LOVE cupcakes!! I'm going to have to try that - believe it or not, I've never heard of it! Thx for sharing. what a great idea!! i'm totally seeing some 7up and lemon cupcakes in my future.